Ensuites On Tow was originally founded in 2003 to provide portable bathroom services for the home or office renovation market. Our luxury portable bathrooms (LPBs) were designed to offer a comfortable and convenient alternative when the existing bathroom in the home or workplace was being renovated or redesigned. That demand soon spread to providing LPBs for a range of public and private purposes including community events, sporting carnivals, film location shoots, wedding receptions, outdoor parties and much more. Beginning in our home state of Queensland and expanding north to Cairns and south to New South Wales, Victoria and South Australia. 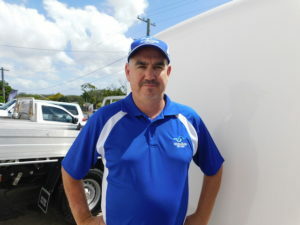 Ensuites On Tow plans to grow nationally through our franchise options. Our current franchisees have tapped into a growing market and enjoy the flexibility of growing their own business at their own pace. Whether you are based in one of our already serviced locations or wish to break new ground with us throughout Australia and New Zealand, Ensuites On Tow can happily help you! We think it’s nice to put a name to a face, so let us introduce you to some of the Ensuites On Tow team. Ensuites on Tow are your renovation experts, renovating your bathroom? We are here to help.. The in-laws coming over for a visit? or you just have some extra guests in your house? Having a wedding and not sure if there is a nice clean toilet around? Ensuites on Tow will take care of that. Planning on a festival of some kind and you would like your guests to enjoy the event even better?. 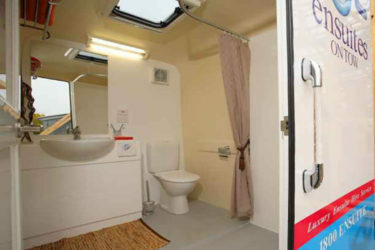 Probably the worst part about camping is going to the toilet.. Well not anymore as Ensuites on Tow has you covered. Ensuites on Tow are here to help if you are in an emergency and you need a toilet/bathroom.